Want to Host a Party or Event in Our Studio? 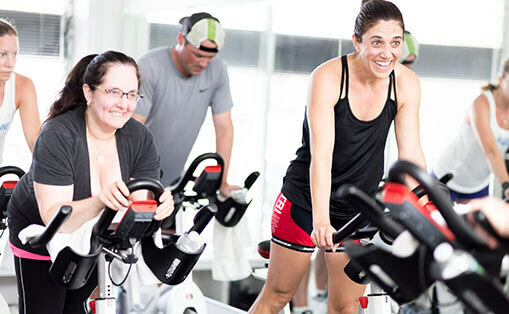 Located in the heart of Larchmont, our studio provides a warm and welcoming setting for indoor cycling. We feature state-of-the-art Schwinn Carbon Blue bikes with monitors so you can track your performance. All of our rides are set to highly motivating music which will inspire you to achieve an intense, full-body, low-impact, cardiovascular workout. You will leave class feeling strong and reenergized. We’ve got a bike waiting just for you! The teachers at L Train are passionate about fitness and they care deeply about each and every one of their students. Their energy and enthusiasm are contagious. Music mix is awesome. They are truly making a positive difference in so many lives, fitness wise, but also in mind and spirit too. Life is forever better, thanks to L Train! In the warmer months, I love to ride outside on the roads of Westchester and Fairfield Counties. But when that’s not possible, spinning at L Train is the next best thing. The classes there keep me in shape during the off months or when it’s rainy and the roads are wet during the warmer months. It’s a challenging and varied workout and the instructors make the classes fun. It’s also very time efficient when you only have an hour or so, but want to get on a bike and get a good aerobic workout. 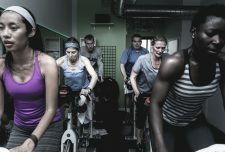 This 30 minute class is geared to the person who has always wanted to try indoor cycling, but felt intimidated. 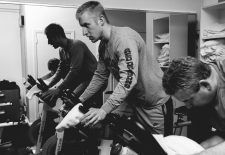 It is the perfect opportunity to learn the basics and become an indoor cycling maven in a friendly and motivating setting. This class, offered in both 50 and 60 minute sessions, is geared towards the more advanced rider. 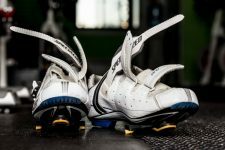 With an emphasis on fat burning and strength training, this ride focuses on cadence, climbs and sprints using monitors to help gauge your workout. These rides help maximize your cardio workout, while building strength and endurance. As with all of our classes, our signature playlists make this an invigorating workout. 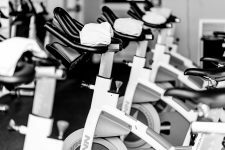 This 50 minute class focuses on both aerobic and anaerobic interval training using monitors to help gauge your workout. The choreography and motivating music incorporate different levels of resistance and cadence to help burn calories and build strength and will leave you feeling fully energized. This class is designed for the beginner rider. The emphasis is on form and building a strong foundation while getting a great cardio workout. Riders will learn about proper form and how to use the power monitors, all while having a lot of fun getting fit. This class is 45 minutes of cycling followed by 5 minutes of concentrated effort using light weights to tone and strengthen the upper body. It finishes with a 5 minute cool down. This class will focus on a specific place or experience. The ride and music will make you feel like you’ve been transported to wherever our road may lead you. Every now and again, we will offer a pop up class, depending on the weather, holiday or just as a mood setter. Join in the fun and enjoy the ride to a very playful playlist. L Train, with it’s terrific instructors, motivating music and high energy vibe, is my favorite place to spin- a wonderful addition to the Larchmont community! I’ve always liked working out, but I was reluctant to try a spin class. A friend introduced me to L Train a few years ago and I have been hooked ever since! Laurie makes sure everyone — from beginner to cycling enthusiast — feels welcome and comfortable in her studio. Now my husband is a full-fledged L Train junkie too. We love it! LMC TV “The Local Live” stopped by our studio to join in on our class and speak with Laurie. 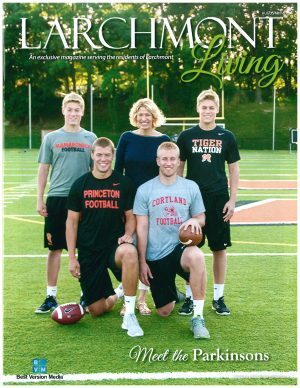 Read About L Train Owner, Laurie Parkinson, in August, 2016 edition of Larchmont Living magazine. 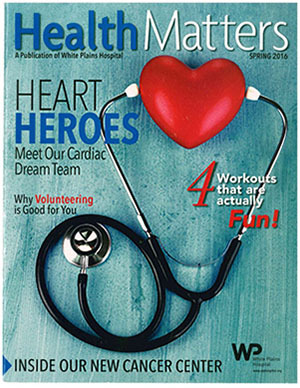 Featured by White Plains Hospital as #1 Workout Wonder in Westchester, Spring 2016.